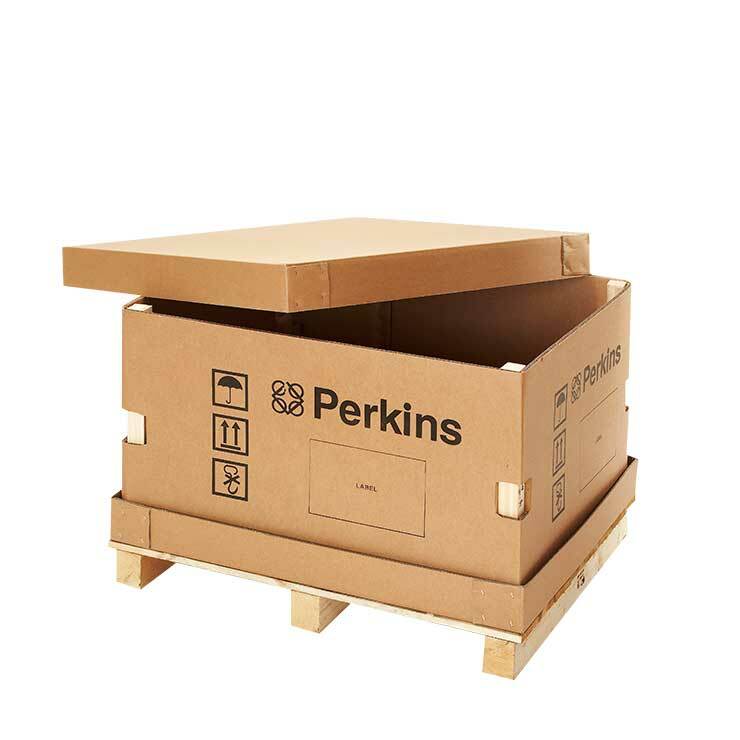 This solution performs all the functions of a standard pallet pack, with the added benefit of having a corrugated pallet designed into the pack. All integrated pallet packs are designed to provide the required amount of strength to meet the physical requirements of the supply chain, whether by road or air. 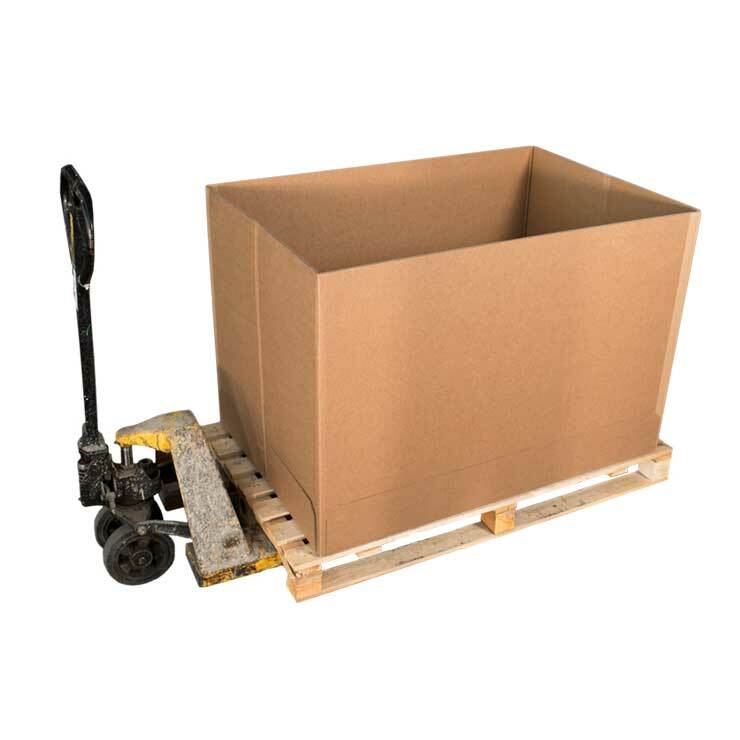 Integrated pallet packs provide a cost effective and environmentally friendly alternative to wooden pallets or crates. 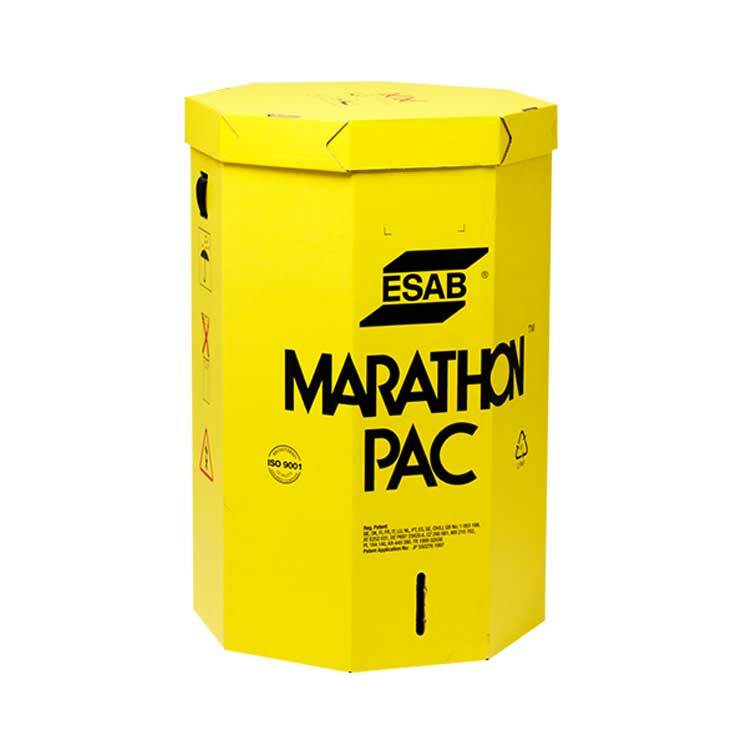 The heavy-duty but lightweight pack decreases the weight of the load reducing shipping costs and carbon emissions. They also provide a solution to International export restrictions, which cover the use of wooden pallets such as ISPM15 (International Standards For Phytosanitary Measures). There are two common variations of the integrated pallet pack. One uses the case material to create the pallet base and requires no additional components. 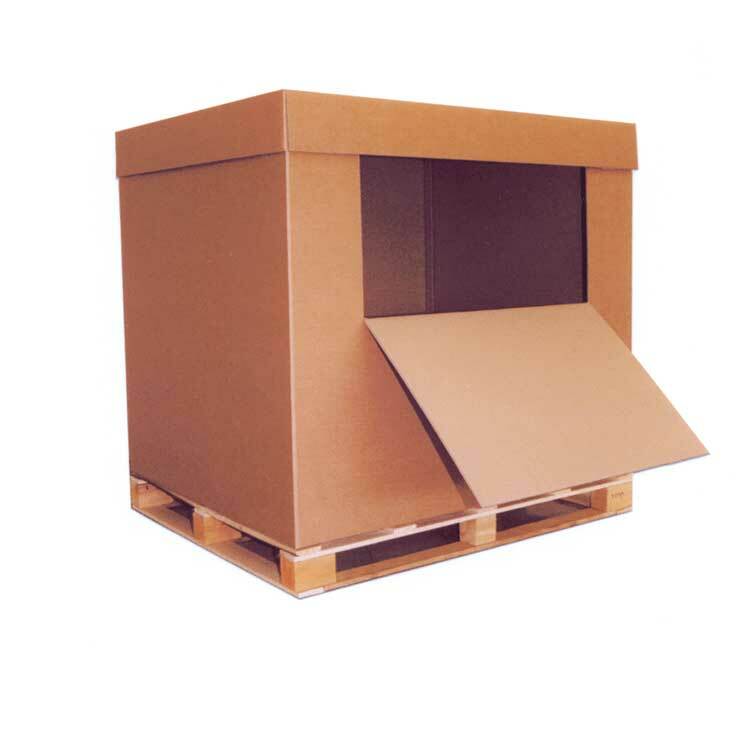 The other requires two corrugated base fittings, which provide a strong pallet base for products up to 250kg. Integrated pallet packs can easily be disposed of and are 100% recyclable.